Ramadan, the greatest religious observance in Islam, is an annual month of fasting. 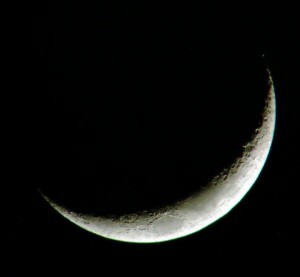 It is the ninth month of the Islamic lunar calendar. Muslims consider this whole month as a blessed month. They fast during the days of this month and make special prayers at night. People also give more charity and do extra righteous deeds. Also, in this Holy Month, The Prophet Muhammad (SAW) received the first revelation of Al-Qur’an (in one of the last ten odd nights of Ramzan). Ramazan/Ramadhan is the month of celebration as well as the month of discipline and self-control. Fasting is means of purification and developing the consciousness of our relationship with Allah. This Taqwa, is a protection against the schemes of Shaitan, and this world. Allah (SWT) has informed us that, “Whoever keeps his duty to Allah (has taqwa), He ordains a way out for him and gives him sustenance from where he imagines not. And whoever trusts in Allah, He is sufficient for him. Surely Allah attains His purpose. Allah has appointed a measure for everything.” (65:2) Ramadhan should be a time of increased activity wherein the believer, now lightened of the burdens of constant eating and drinking, should be more willing to strive and struggle for Allah (SWT). Such was the month of Ramadhan in the time of the Prophet (pbuh). It was a time of purification, enjoining the good, forbidding evil, and striving hard with one’s life and wealth to make the word of Allah the highest and Islam the dominant Deen. The most important consideration in undertaking a fast, as in any act of devotion, is to seek nearness to God, and seek His pleasure and Forgiveness. This itself generates a spirit of piety in man. Creating the conditions of hunger and thirst for oneself, simply in obedience to the Divine order, measures the faith of man in God and helps strengthen it by putting it to a severe test. Fasting enhances through creation of artificial non-availability, the value of the bounties of God which man often takes for granted. This inculcates in man a spirit of gratitude and consequent devotion to God. Nothing else can bring home to a man the worth of God’s bounties than a glass of water and a square meal after a day long fast. This also reminds man that the real joy in enjoying God’s bounties lies in moderation and restraint and not in over indulging. Fasting makes us deeply conscious of the pangs of hunger and discomfort suffered by the less fortunate among our brethren. They have to put up with difficult conditions all through their lives. It thus kindles in man a spirit of sacrifice leading to change towards his suffering brethren. Fasting gives man an unfailing training in endurance, a spirit of acceptance. This could well prepare him to put up with the unchangeable situations in life in the same spirit of resignation as cultivated during the fasts. Fasting develops courage, fortitude, and a fighting spirit in man to surmount the heavy odds in life with a cool and tranquil mind. It sharpens his power of concentration to overcome obstacles through a vigorous exercise all throughout the month, leading to a steeling of his will power and resolve, that could help him in challenging situations in life. It is seen than many an undesirable habit which is difficult to give up, is more easily given up during the days of fasting. Fasting teaches man reliance on God, and confidence in Him. Just as the vigorous state of fasting for a whole month is undertaken with His assistance, bitter situations in life could also be surmounted with His help. Fasting develops a spirit of patience in man, with the realization that the days of fasting, though seemingly unending, do have a successful and happy end. Thus is life. All bitter situations pass, and come to an end. Fasting is meant to conquer anger and develop self-control in man. The vigorous effort required to put up with hunger and thirst can well be extended to conquer other infirmities of human character that lead man into error and sin. 10) Fasting inculcates a spirit of tolerance in man to face unpleasant conditions and situations without making his fellow beings the victim of his wrath. Many people, when facing discomfort and deprivation, become irritable and annoyed. This anger is then vented on those around them. Fasting helps a man become more tolerant despite his own discomfort. Fasting mellows a man and enhances his character, giving a jolt to the human instincts of pride, haughtiness, jealousy and ambition. Fasting softens his character, and clears his heart and mind of many negative emotions. Fasting exposes the weakness of man in the event of his being deprived of two basic bounties of God; food and drink. It infuses into him a spirit of weakness and submission, generating humility and prayer in an otherwise arrogant being. Fasting breathes the spirit of forgiveness in man towards others, as he seeks God’s forgiveness through fasts and prayers. Fasting gives lessons in punctuality. Man has to adhere to a strict schedule of time in the observance of the fast. Ramadan dates – Peace And Happiness On Ramadan! Peace And Happiness On Ramadan! Fasting could affect the economy of the individual as he is less wasteful on food and meals. Fasting demands a rigid sense of discipline, mental, spiritual and physical. This forms characteristics which are an essential ingredient to success in life. Fasting creates spiritual reformation in man, infusing him with a spirit of enthusiasm and zest to change and become a better human being in the eyes of God. This is an excellent opportunity, given to believers each year, to change themselves and consequently their destinies. On the physical side, fasting cleanses the human system of the accumulated impurities of uninterrupted eating throughout the year. It prepares the body to face diseases or conditions of scarcity. The rigid abstinence of a fast regulates man’s health, sharpens his intellect and enhances the qualities of his heart. It is a world of survival of the fittest. I know the fact that achievers shape this world and people like me get benefit of their hard work, devotion, sacrifices and abilities. They lead us and we follow them. But here the buck stops. We all are different. Those who follow are not necessarily absolutely devoid of the traits the successful people possesses. Many of the underachievers simply give up either half way or at that most crucial time when they were few steps to success. The difference of the winner and a loser in any race is hardly a few yards. An Upper Division Clerk and a District Magistrate had got a difference of a few marks when they both had appeared in the IAS competition. Keep aside the spin and hyperbole of beauty and brains and beneath the surface of the skin deep glittering is nothing but the body and face that God has gifted. They were lucky to have families which supported them to reach the palatial houses where the beauty pageants are organized. What Kamala could have done with her sallow complexion when her parents had sold her to a brothel keeper of Kamehti Pura in her childhood in the name of Deva Seva? There has always been a thin line between success and failure in life. The banyan tree is flouting its air-roots, shiny green leaves and offering its cozy shade today because no cow or goat extirpated its sapling and used it as fodder few decades or hundreds of years before. You can give credit of the strong growth to the grit of the mother seed also for the giant tree. But could you deny that no destructive hurricane came its way in its earlier development and it got the proper support of water and air when needed. While we must admire, respect and give credit to those who have shown earth shaking results we shouldn’t insult the brilliance of ordinary man. Given the right set of positive circumstances and many of us could have become an Einstein, Tagore or Dheeru Bhai. Most of us are always curious to know what kind of personalities these successful people have or how intelligent they are; what special talents they possess. I’ve been fortunate to know and learn closely many of the these successful men. We can’t ignore about our backyard where the more dishonest, the more cunning, depraved and unprincipled you are the more successful you are. One day I asked a successful baker how he reached the top of the ladder. “On the heads of broken eggs…” was his candid and honest answer. The truth was, as he stated, that when rest of the bakers were buying fresh eggs from poultries for making the cakes, he used to buy the reject, substandard and broken eggs. While other made a profit of 15 % he made 40 %. Now he has got HACCP and ISO’s certificates and all that you can afford after success. He is a man of honesty, integrity and principles now. Kapoors, Khans or Johars may be a story of two or three generations but we have our Gandhis, Jindals, pilots, Yadavs, Nidihis and Abdullahs who would be there in the vanguard of the nation in coming generations, for better or the worst, and would keep reminding us that accident of birth is the best trait. Rich people are too powerful and dangerous and I’m afraid of my life to talk about their antecedents. “By the standard of mature composers, Mozart’s early works are not outstanding. The earliest pieces were all probably written down by his father, and perhaps improved in process. Many of the Wolfgang’s childhood compositions, such as the first seven of his concertos for piano and orchestra, are largely works of other composers. Of those concertos that only contain music original to Mozart, the earliest that is now regarded as a masterwork (No. 9, K. 271) was not composed until he was 21: by that time Mozart had already been composing concertos for ten years. “Who log jinhoon ney khoon dekar gulshan ko ye zeenat bakshi hai ; Do char se duniya waqif hai, gumnam na jane kine hain.” The garden’s beauty and color owe to the blood of several keepers . Only a few of them are exposed, rest are unknown. I’m a late bloomer and under-achiever in almost all walks of my life. I know I’m neither blessed with a super-intelligent brain nor I’ve the great talents to win friends and influence. However, with all my constrains, restrains, pitfalls and shortcomings God has gifted me with Self Respect and a resilience to accept the situations I can’t change. I set my goals and try my best to achieve them. There are times when I flop miserably and there are times when I make a lukewarm success. There are also moments – these are few when I come off with flying colors. One great attribute that helped me is that nothing throws me out of gear. As one Urdu poet has said: “Manzil miley, miley na miley, is ka gham naheen: Manzil ki justuju me mera caravan to hai. ” Achieving or losing doesn’t worry me. I’m satisfied that my struggle is on. Struggle is always more pleasant than reaching the destination. Once you reach at the top, there is nothing left to look up. You walk on flat plateau or you look down the valleys you have climbed up. But we can’t generalize this example. There are child prodigies and there are plenty who reach the top with hard, honest and sincere efforts. Success is also based on individual merit. These people are judged on their own performance and ability. “Life affords no higher pleasure than that of surmounting difficulties, passing from one step of success to another, forming new wishes and seeing them gratified.” Samuel Johnson. Shape it or ship out ! No Sir ! I’m a late bloomer and under-achiever in almost all walks of my life. I know I’m neither blessed with a super-intelligent brain nor I’ve the great talents to win friends and influence. However, with all my constrains, restrains, pitfalls and shortcomings God has gifted me with Self Respect and a resilience to accept the situations I can’t change. I set my goals and try my best to achieve them. There are times when I flop miserably and there are times when I make a lukewarm success. There are also moments – these are few when I come off with flying colors. One great attribute that helped me is that nothing throws me out of gear. As one Urdu poet has said: “Manzil miley, miley na miley, is ka gham naheen: Manzil ki justuju me mera caravan to hai.” Achieving or losing doesn’t worry me. I’m satisfied that my struggle is on. Struggle is always more pleasant than reaching the destination. Once you reach at the top, there is nothing left to look up. You walk on flat plateau or you look down the valleys you have climbed up.